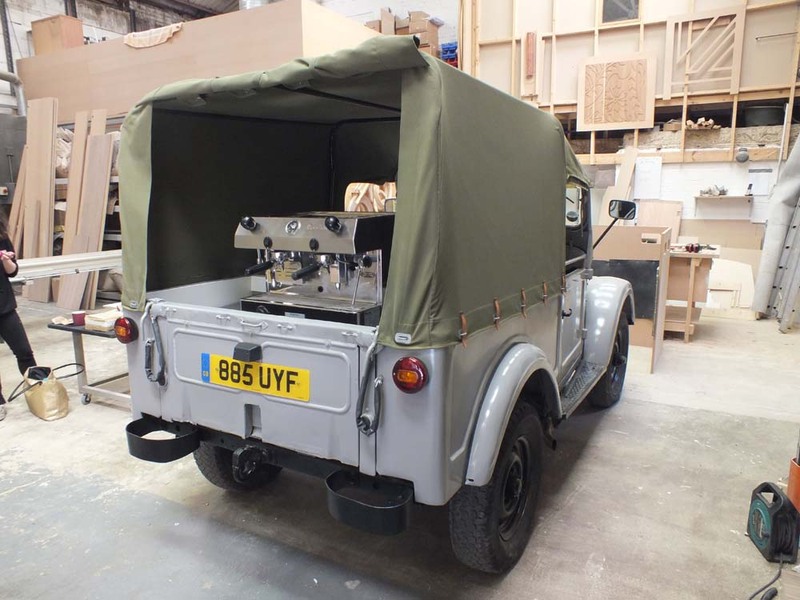 With years of experience both building and operating mobile coffee vans our conversions are a refined product designed with the barista / driver in mind. 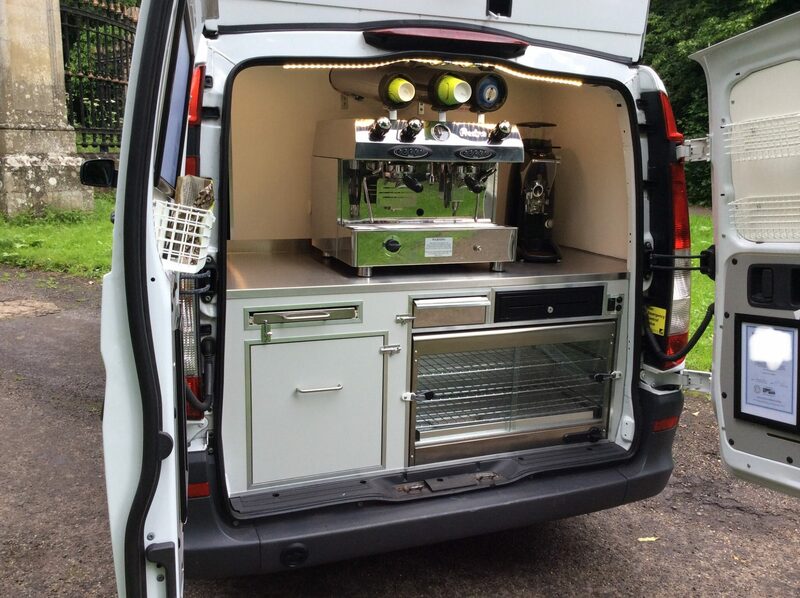 Our coffee van conversions are a high quality product. 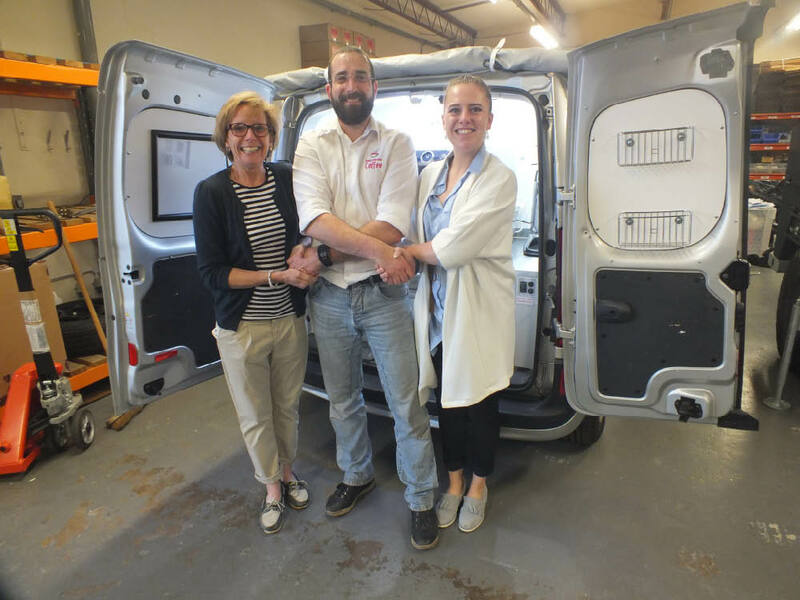 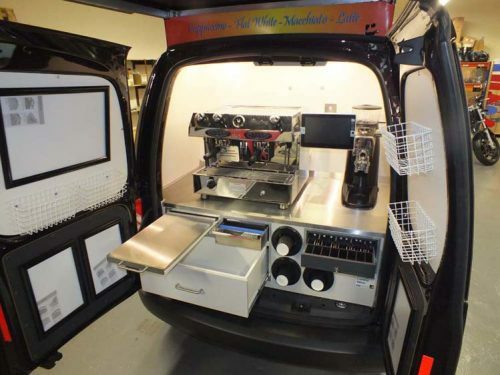 Our technicians are qualified cabinet makers, we use only durable food grade fittings and pride ourselves on our attention to details and creating practical coffee vans that are built to last. Please feel free to call to discuss your requirements and we will be able to suggest the most suitable coffee van conversion to meet both your needs and your budget. How Much Is A Coffee Van Conversion? 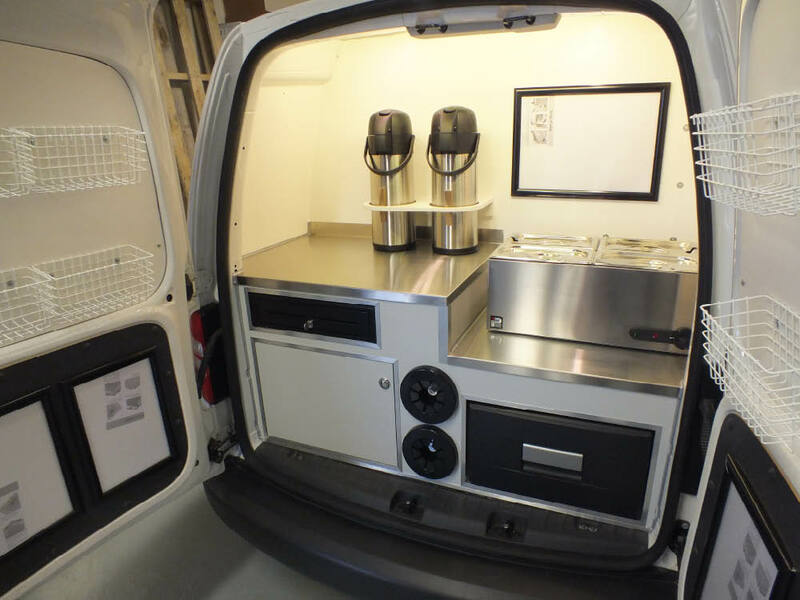 Although based around the same principles there are lots of options within this category of coffee van conversion with prices ranging from £8,000 to £14,500+VAT depending on requirements. The size of vehicle you choose to convert will depend on many factors and there are lots to consider before you purchase which we are more than happy to discuss with you. 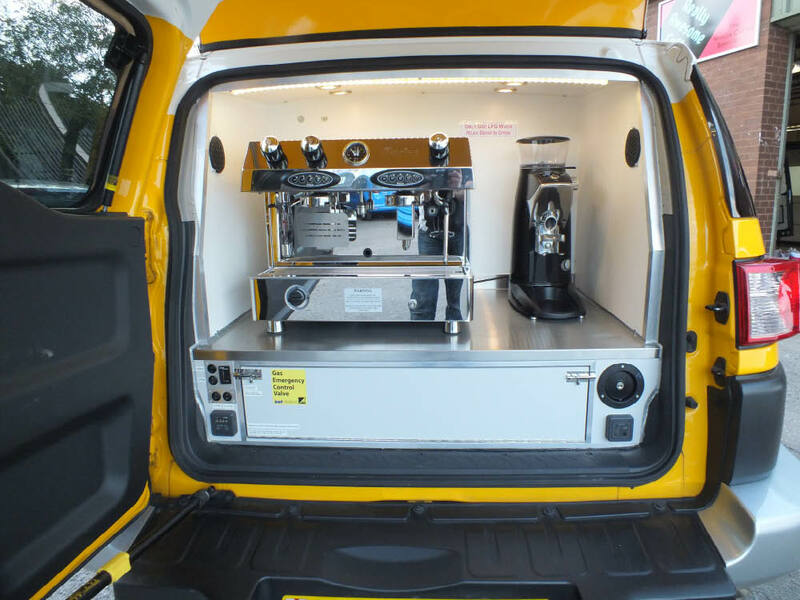 Smaller vehicles are typically less expensive to run and insure also in some instances can trade in places that larger coffee vans cannot. Larger vehicles, however, have the huge advantage of providing significantly more storage space thus negating the requirement for the support / stock vehicles that often have to accompany smaller coffee vehicles to their trading locations. 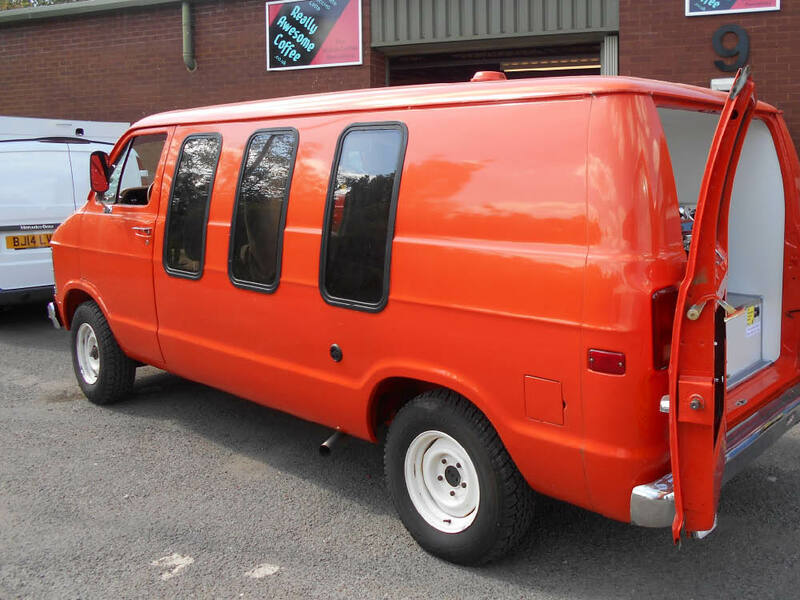 We offer a complete bespoke conversion service for both small and large vehicles and will work with you to design and build a practical vehicle that meets your requirements. All our coffee van conversions are bespoke and can offer both internal and external vending. Many of our conversions are perfect for events trading or trading at fixed locations providing gourmet coffee and snacks. 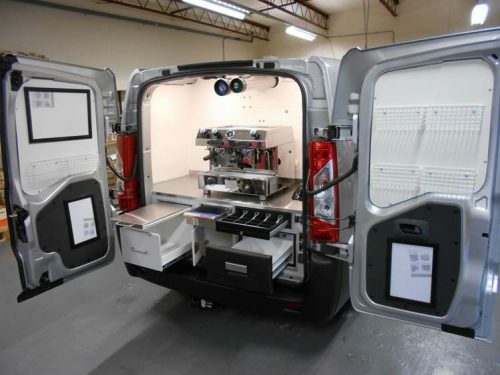 We specialise in designing and installing power systems into a variety of vehicles to meet specific requirements and we have built bespoke non-coffee conversions as diverse as bacon butty vans and iced slushy vans. 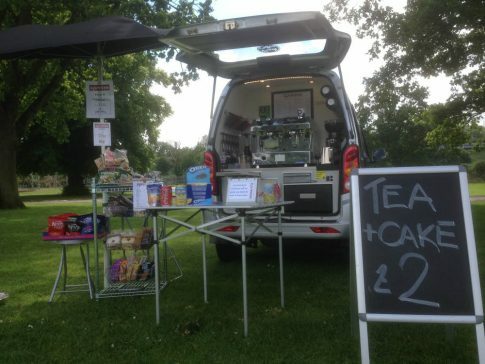 Wanting A Daily Coffee Round? Our system of batteries, chargers and inverters stores enough power for a full day of silent trading with a 2-door pie heater and large 3-door display fridge running as well as the espresso machine and grinder.What’s even better is that the batteries charge whilst you are driving between coffee stops (and when the vehicle engine is idling), enabling unlimited trading without the requirement for an external power source. 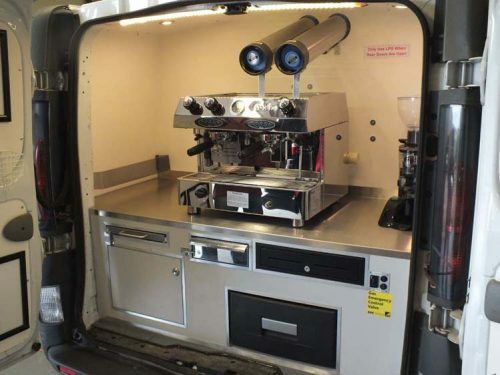 At the top of everyone’s list of requirements for their coffee van should be safety. LPG installations are covered by legislation and must be certified annually by qualified Gas Safe engineers. 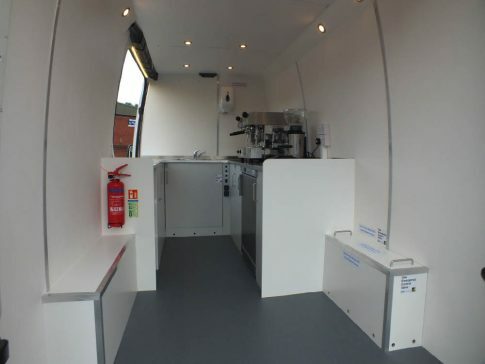 Surprisingly electrical installations, as they are not connected to the national grid, are not covered by any national regulations. We have seen a number of dangerous (although not illegal) installations with no RCD protection, water tanks installed above battery banks, charging cables run through door seals… you name it. 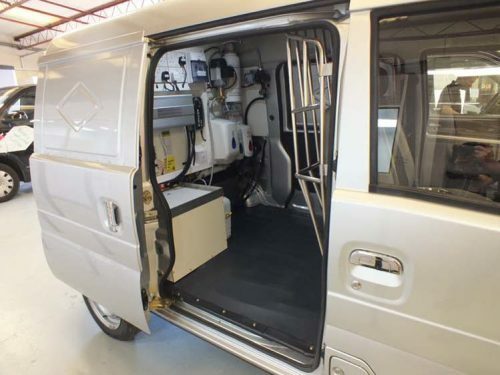 It should not be about doing the minimum necessary to get the vehicle working, when it comes to electricity it should be about doing the most to ensure the safety of the operatives and the general public. 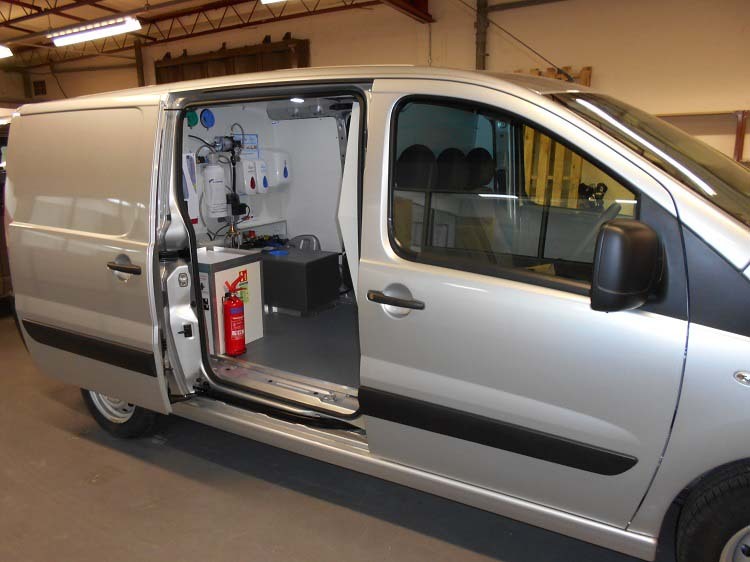 All our conversions operate fully protected circuits and come with a detailed testing schedule and safety certificate. Generator powered coffee vans have to carry a large generator which takes up a large amount of potential storage space and is also relatively expensive to run – generally around £10 per day more expensive than our power system. 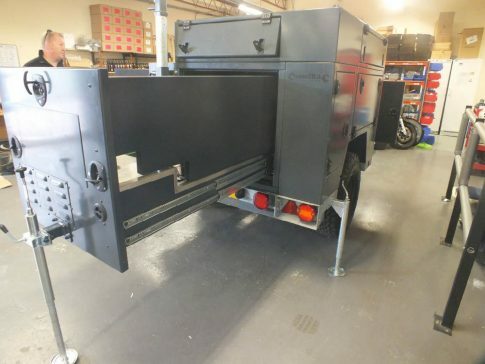 Additionally there is the expense of regular generator servicing. If not plugged in to a mains power supply then the generator must be kept running in order to power the equipment in the van including any refrigerated units. 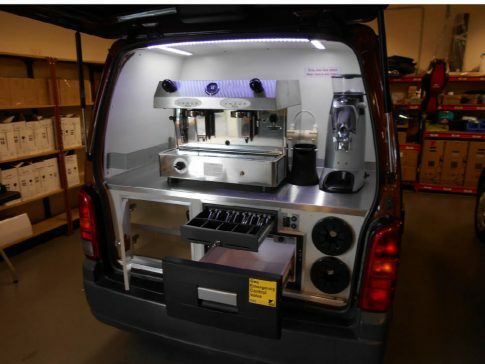 In effect this means that the coffee van cannot legally be left without shutting everything down (espresso machine loses pressure, chilled food warms up and hot food cools down). 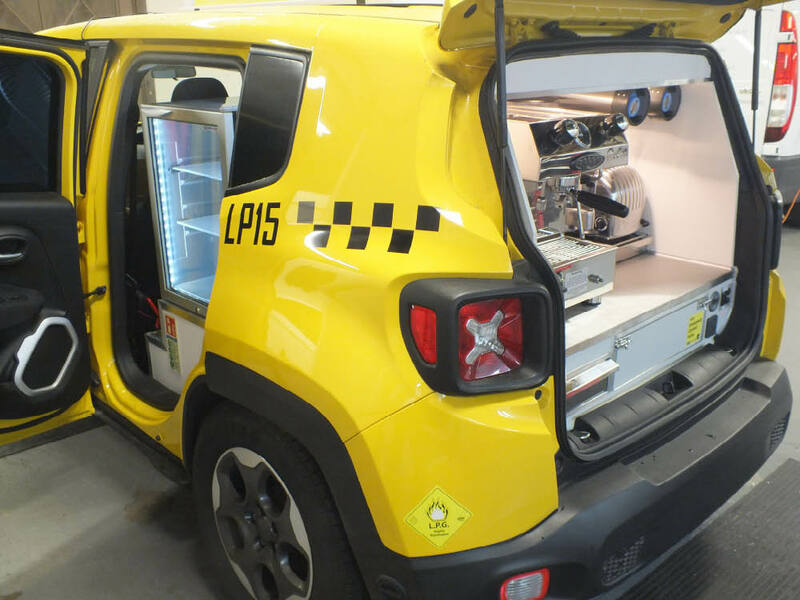 Our power system has enough capacity for the display fridges to be left running overnight (and longer) without an electric hookup and the vehicle can be legally left at any time with all the equipment (including the espresso machine) switched on. 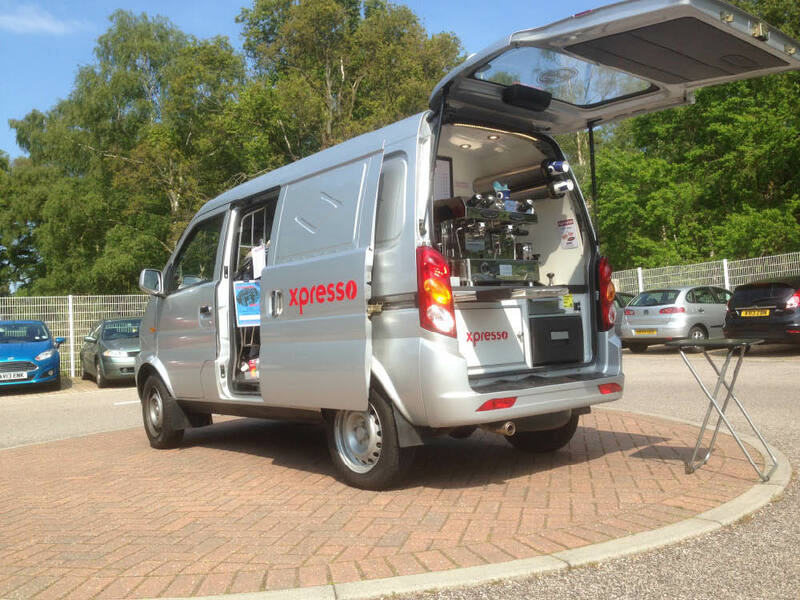 Our power system also allows for silent indoor trading without the requirement for an external electric supply – for example our franchise partners regularly provide gourmet coffees and refreshments inside corporate premises, sports halls, large marquees etc. 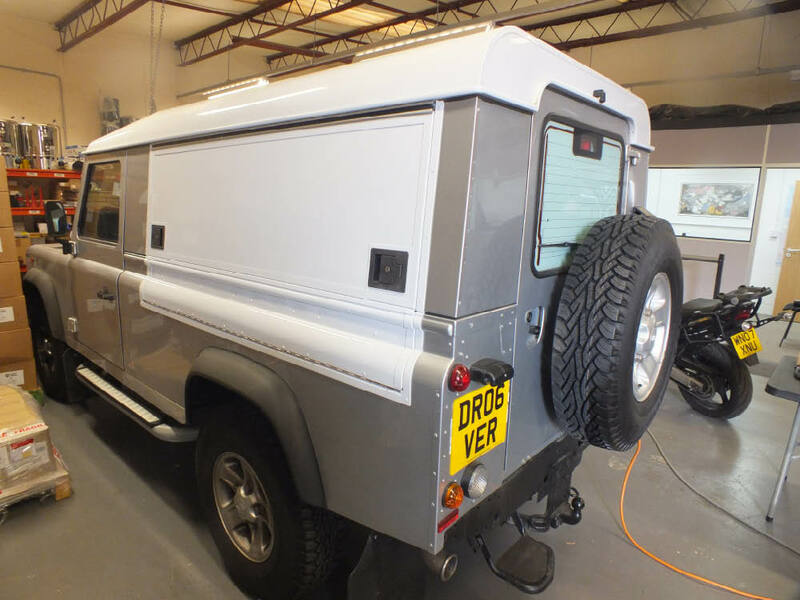 LPG cylinder conversions require the carriage (and venting) of large LPG cylinders, to which ready access is required in order to change the cylinders when required. Although not taking up as much room as a generator the cylinders still take up valuable storage space. Without an alternative electicity supply, LPG cylinder conversions usually rely on one or two leisure batteries to power the coffee grinder and espresso machine electrics. 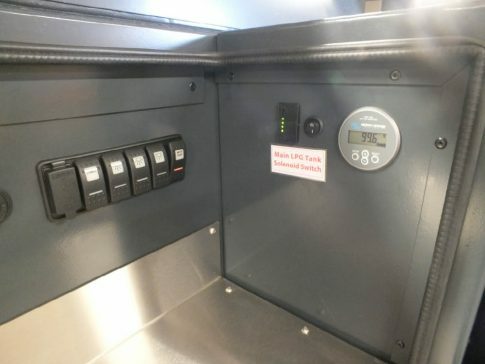 This provides very little capacity for other items such as a display fridge or pie heater and once these batteries are drained an external power source (generator or mains hookup) is required in order to continue trading. 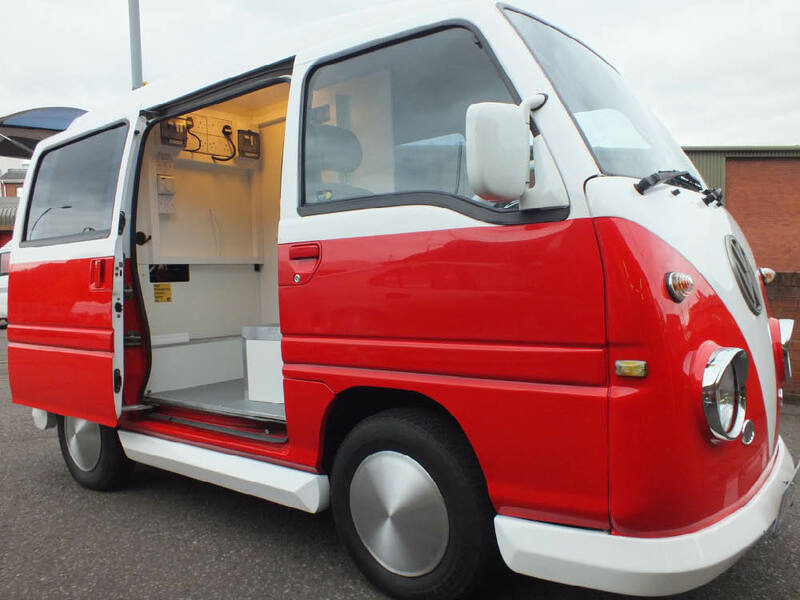 Our power system’s high capacity and ability to charge itself from the vehicles engine overcomes these issues. 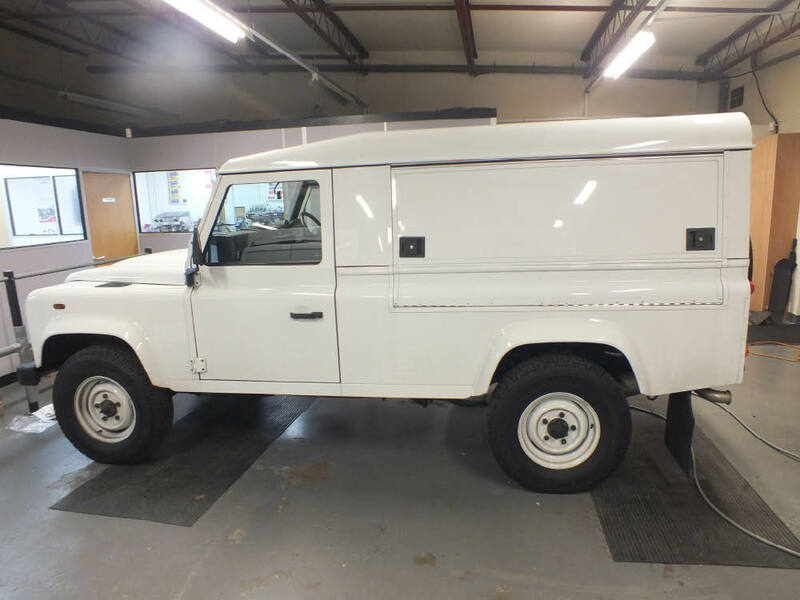 The other big disadvantage of LPG cylinder conversions is the fact that the LPG burners have to be switched off whilst the vehicle is being driven (not only common sense, also a legal requirement). 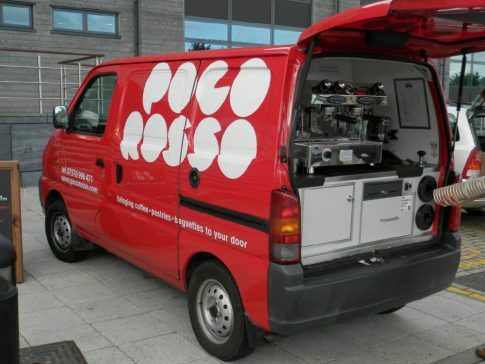 This means that the espresso machine boiler loses pressure and you will have to wait anything from a couple of minutes to half an hour for the machine to get back up to operating pressure when you arrive at your destination. Our power system overcomes this with boiler pressure maintained whilst driving so that you can make coffees immediately when you get you your coffee stop / event. 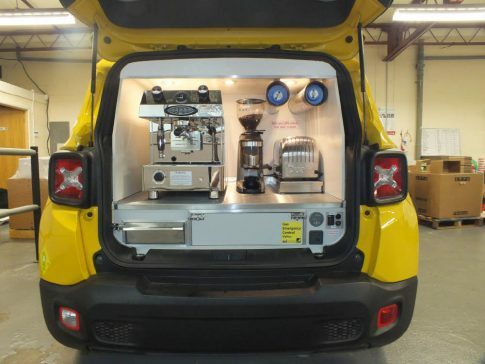 Our reputation is very important to us and when you purchase a coffee van from Really Awesome Coffee we like to ensure that you have a clear understanding of how the vehicle systems work and how to get the best out of your new investment. We want you to enjoy running your mobile coffee business and for your customers to be impressed by both your coffee van and your barista skills. 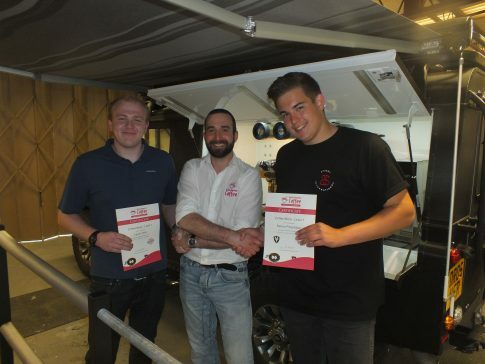 As such, included with each coffee van conversion purchased is a full days induction in the use and maintenance of the installation along with a complimentary slot on one of our professional barista training courses. 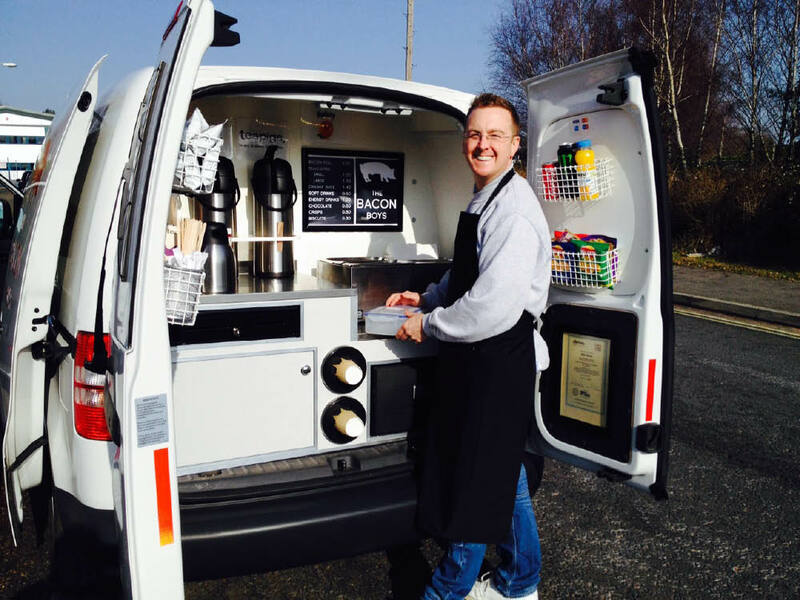 The coffee van induction is carried out on a one-to-one basis and is specific to you and your conversion. Although the inductions follow a set pattern to cover all aspects of your coffee van conversion we work with you at your own pace to make sure you have a clear understanding and feel comfortable to take your vehicle away and start visiting your new customers. 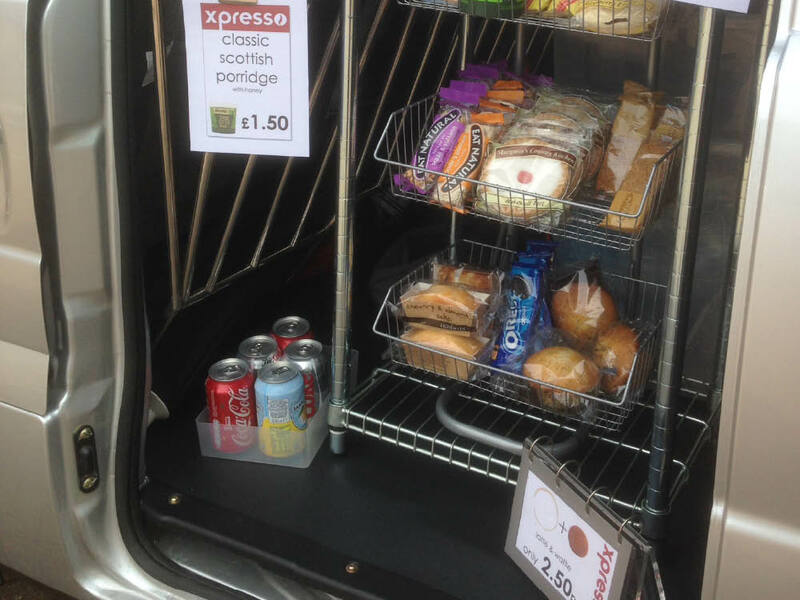 We have a variety of additions you can add to your van plus a host of other services you can take advantage of. 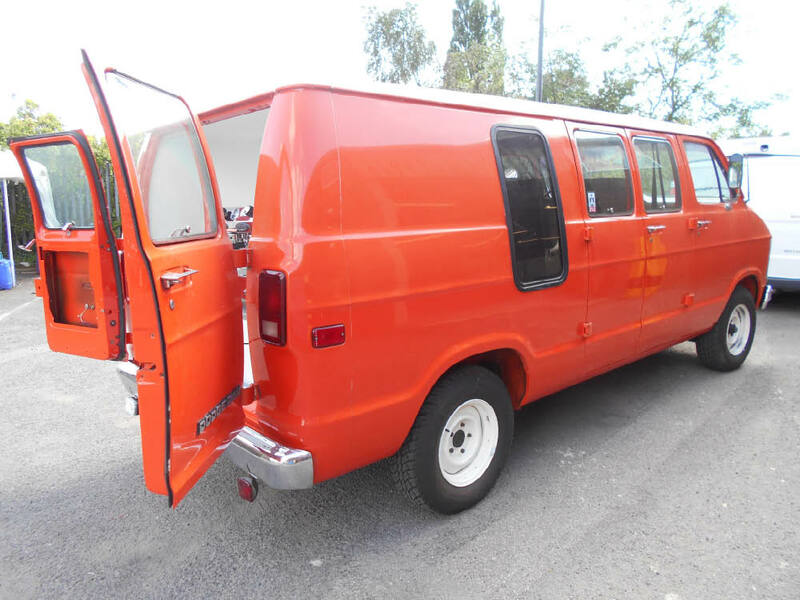 If you have any questions we always happy to talk you through your choices. If you would like to add solar power to your vehicle such as the panels fitted onto our franchise vehicles this allows you additional low-cost energy and helping the environment at the same time. Temperatures in winter regularly dip beneath freezing, and after experiencing damage to an espresso machine in one of our own mobile coffee vans a number of years ago we developed a convenient solution to prevent this happening again.Our van frost protection is a thermostatically controlled system that controls low energy heaters fixed strategically within the vehicle to prevent frost damage to the espresso machine and associated waterworks. The generally accepted method of protecting espresso machines and plumbing in catering vehicles is to cover the machine with a duvet and clad the pipes as best as possible. Not particularly effective and also not ideal with regard food hygiene. 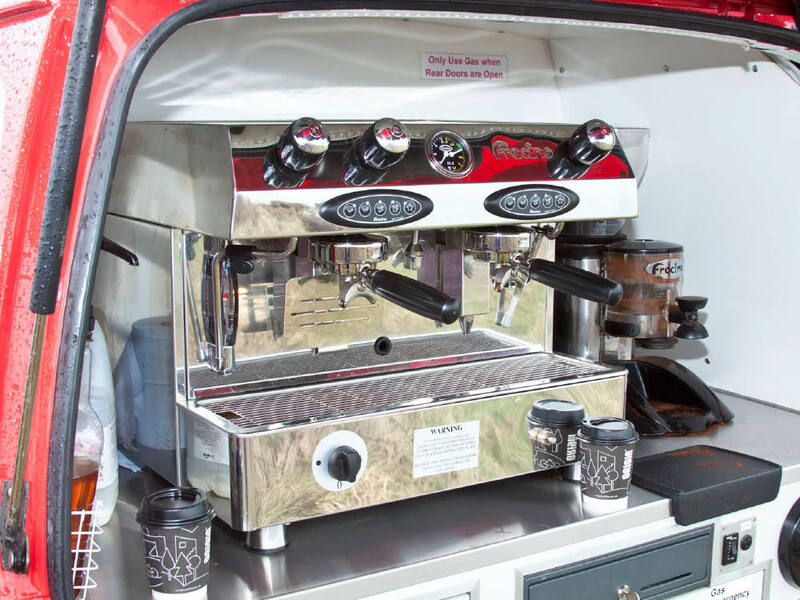 Installing our system provides peace of mind without the hassle of having to manually insulate your espresso machine and pipework at the end of each working day. 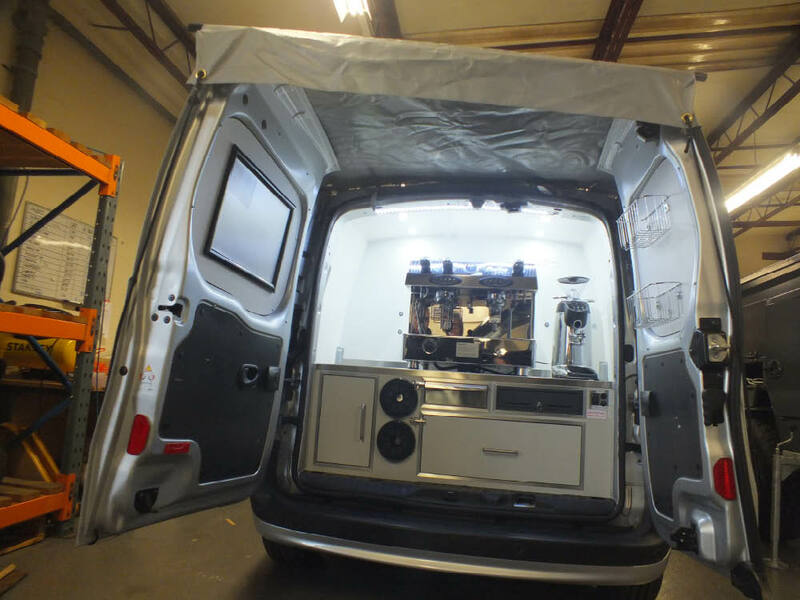 Our awnings provide cover for the barista they also keep your customers dry. In the heat of the summer the awning also provides handy shade improving the barista experience. there are a variety of options available however the Really Awesome Coffee awning is specific to our unique vans and unfortunately unavailable for non-franchisees. 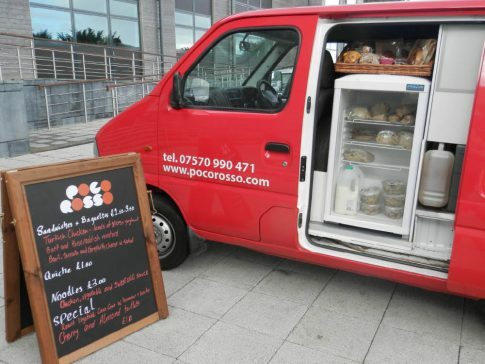 Trading fast, efficiently and professionally is important when it comes to serving customers and therefore an EPoS system is highly recommended you consider your options in this area and we are happy to advise you in this area. Our RAPoS software is unfortunately unavailable to non-franchisees but there are other EPoS software producers you can find on the market. We are a national supplier for both Fracino and La Cimbali espresso machines and can supply grinders, blenders and any barista tools required to you wholesale. 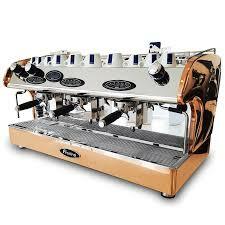 If you purchase your Espresso Machine and Grinder through Really Awesome Coffee complimentary training is provided. We specialise in wholesale supply of our roasted coffee so if you are searching for high quality coffee we would be very pleased to speak with you about how we may be able to help. 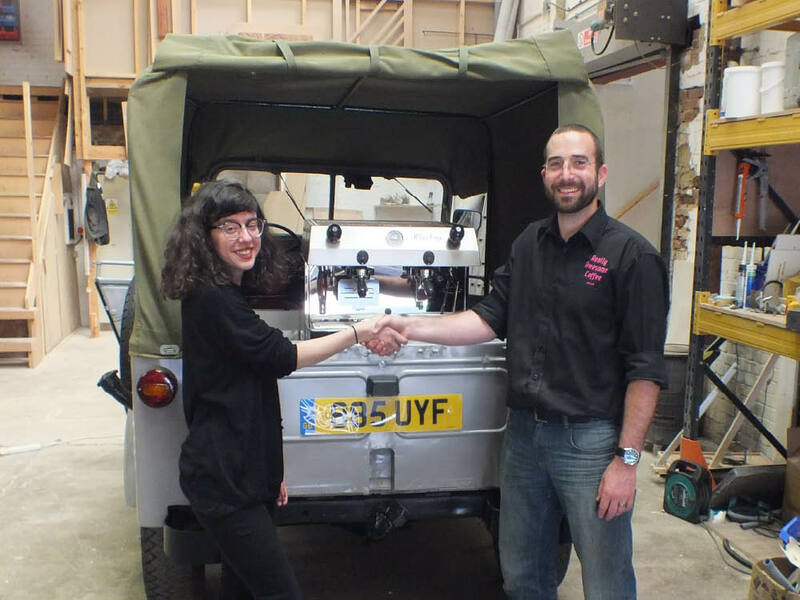 There can be a lot of pomposity and pretentiousness in the coffee industry and we pride ourselves in being plain talking and matter-of-fact as well as passionate about our product. Our aim is to provide exceptional quality without the price tag. Which you will be able to order via our online shop (coming soon). 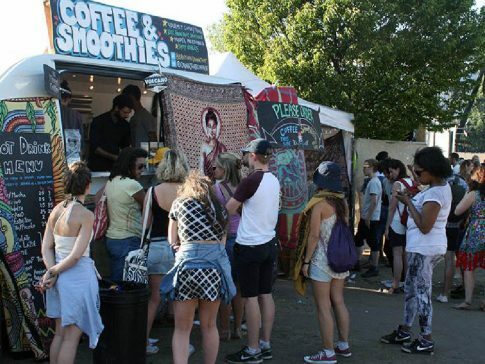 Read more about our coffee on the homepage. 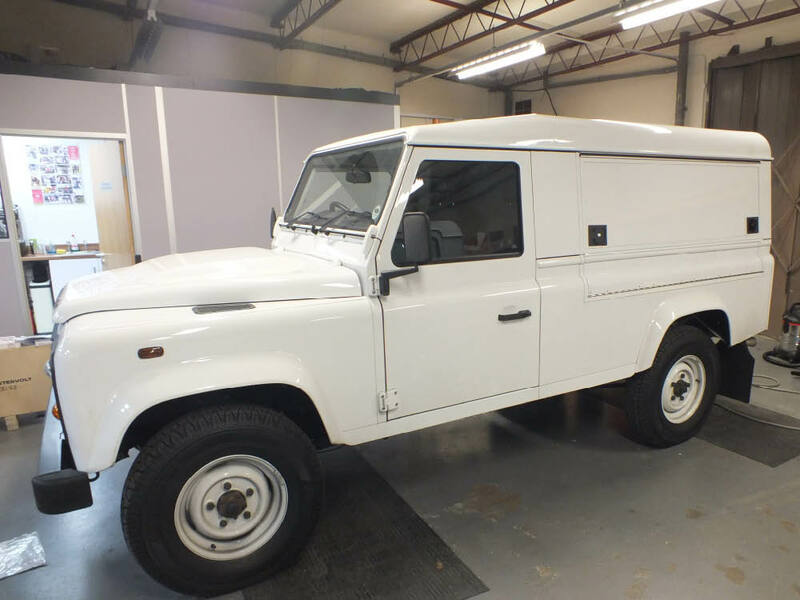 Having the right vehicle and the right conversion are vital for your business succeed, but equally important as having the right kit is having a strong brand that will make you stand out from the competition. 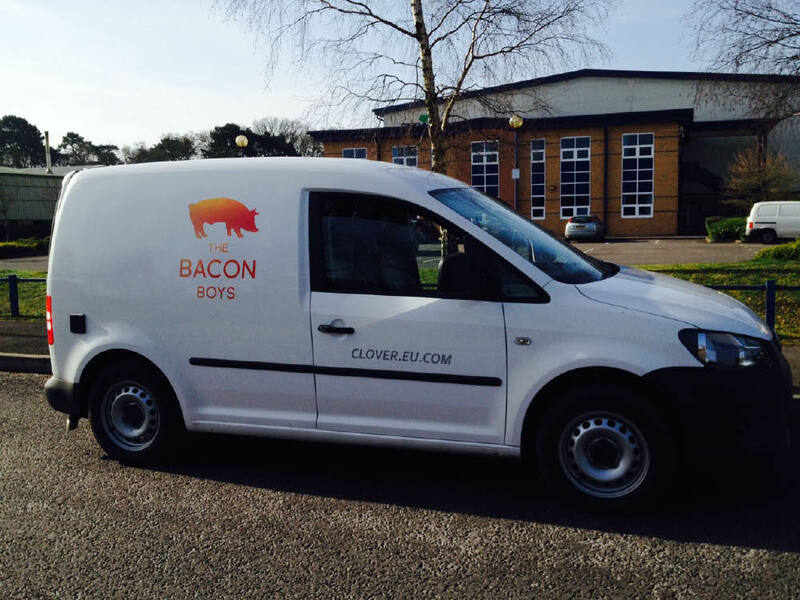 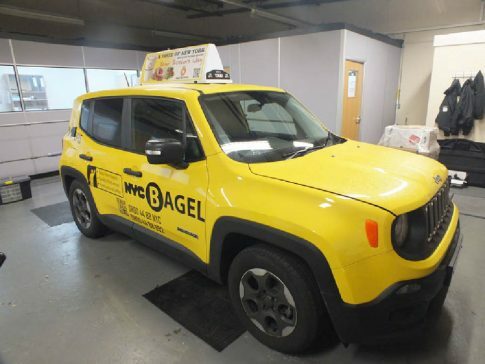 There are lots of things to consider from initial business name and logo concepts right through to the vehicle sign writing / vinyl wrapping as well as menus loyalty cards, flyers and more. Our in-house design department offers in excess of 10 years experience in design and branding and will work alongside you to develop your ideas and bring your vision into reality. 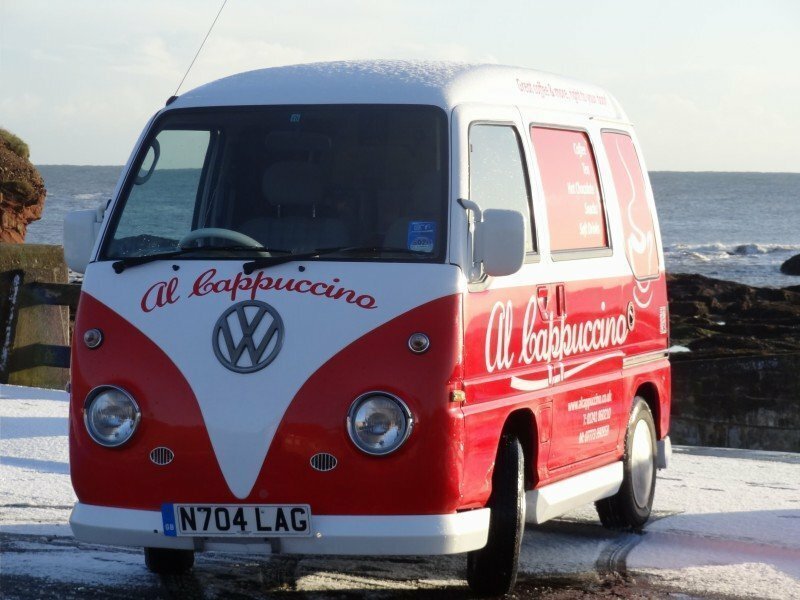 We can often utilise the period immediately before and during your vehicle conversion to develop and refine your brand concept and produce your stationery, menus, loyalty cards etc. 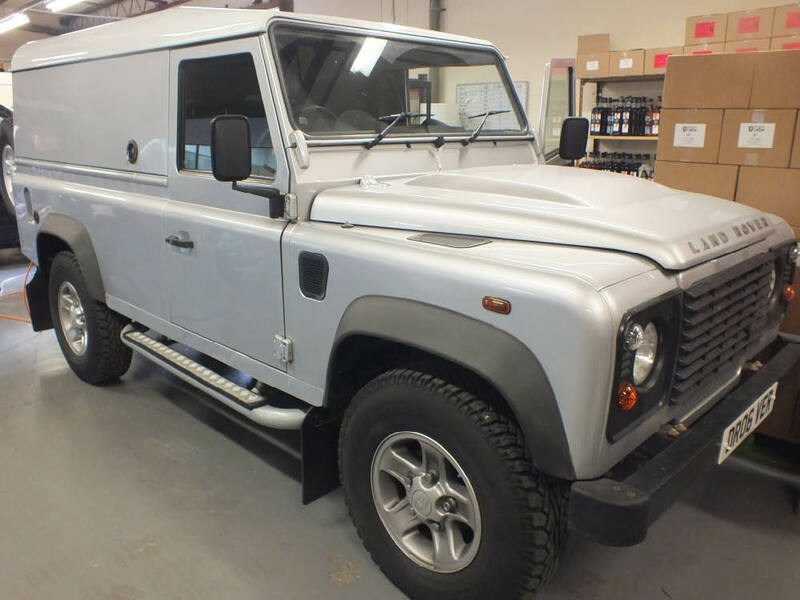 as well as apply your vehicle livery so that when you drive away with your finished vehicle you are in a position to start trading straight away. 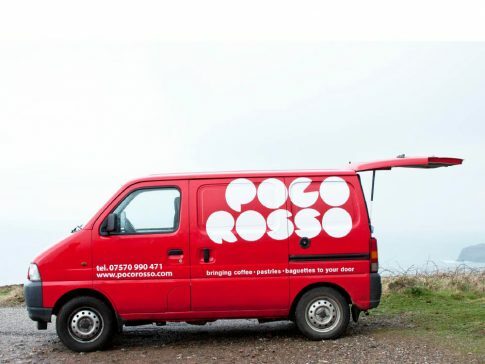 Of course our design services aren’t restricted to this list – give us a ring with any of your design ideas or requirements and we will be able to help. Your coffee van business is significant financial investment akin to the deposit, fit out costs and rent paid for a bricks-and-mortar coffee shop. 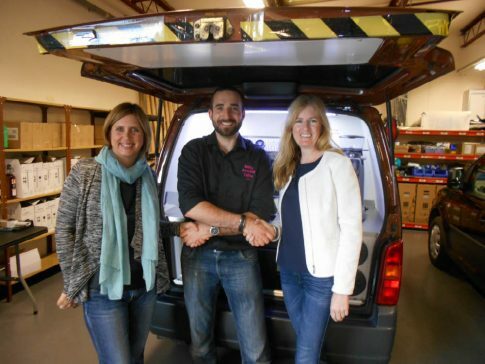 It is rare for entrepreneurs to have the full capital in place to get their businesses started and bring their business plans to fruition – generally they need to leverage someone else’s capital to get their plans in motion. 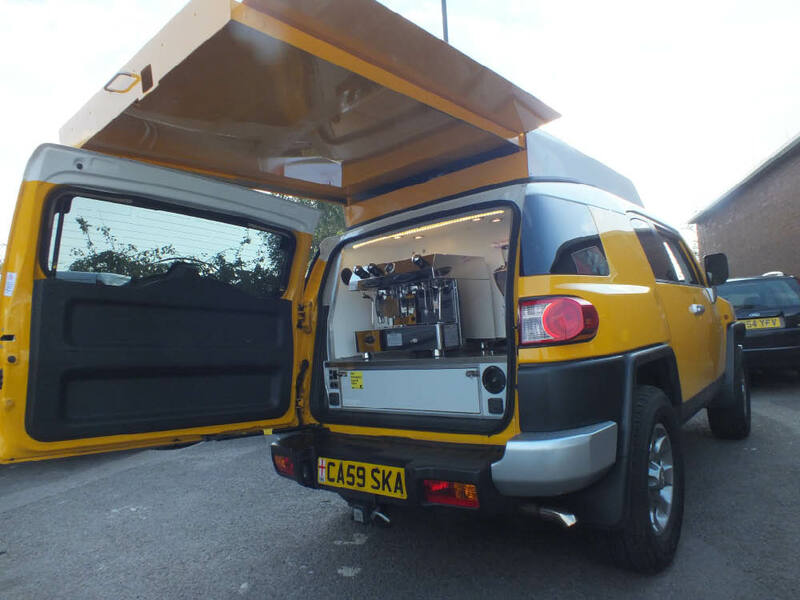 We understand this and have built strong relationships with a number of finance companies who are familiar with our coffee van conversions and the mobile coffee / mobile food industry. Once we have agreed a specification for your coffee van we can put you in touch with one or more of these companies who will be able to talk you through the finance options and subject to the usual credit and status checks put together the right finance package for you and your new coffee van business. 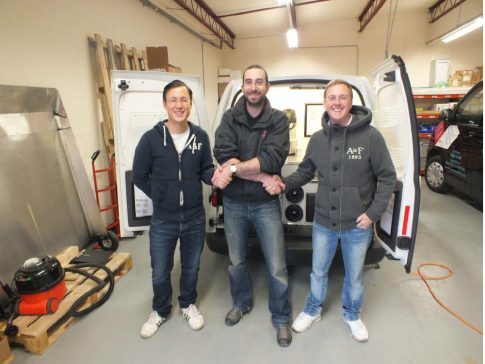 Although not always a pre-requisite to obtain finance, creating a full business plan with targets and measurable goals is a sensible undertaking for any new business venture. If you would like guidance and assistance in the preparation of a business plan with insights from within the mobile coffee industry then you may be interested in our full-day How to Start a Mobile Coffee Business course which covers business planning as well as a a host of other important topics. RACoffee have converted a wide range of vehicles from black cabs to horseboxes, from stylish coffee Land Rovers delivering refreshment to salmon fishing and shooting parties on Scottish private estates to little ‘Al Cappuccino’ serving thirsty commuters at the train station every day. 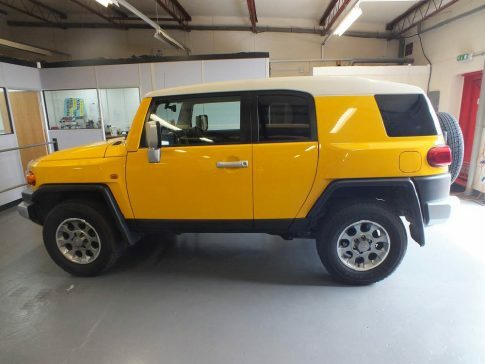 Take a look at our gallery and find your vehicle or if you can’t see it, give us a call as we love a challenge! We have a fantastic opportunity for you to drive away in one of our amazing high quality conversions. 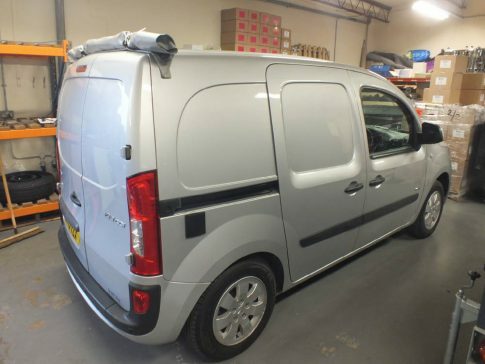 A 62 plate Mercedes Benz Vito, long-wheel base has just 58,000 miles on the clock! 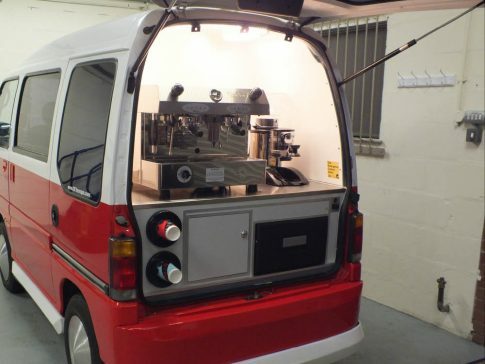 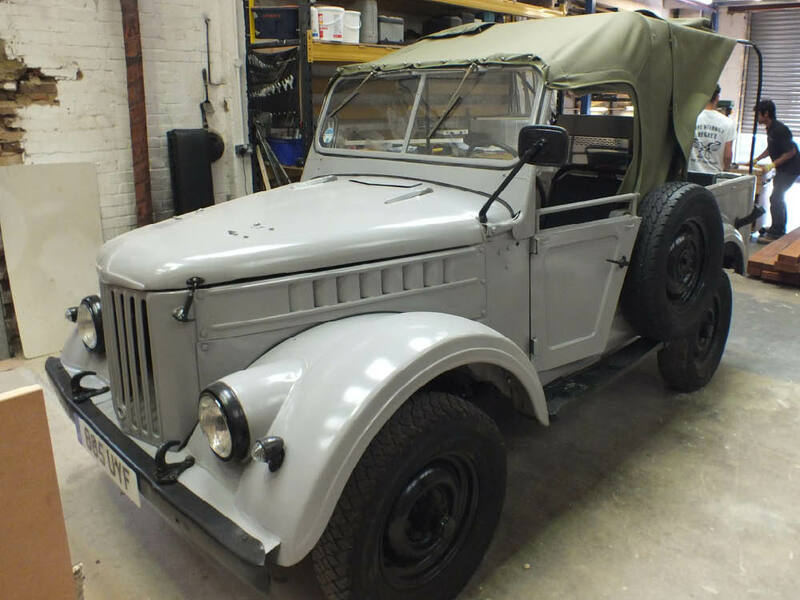 This fully converted coffee van is priced to sell at just £25,000 + VAT. Next MOT due October 2019! 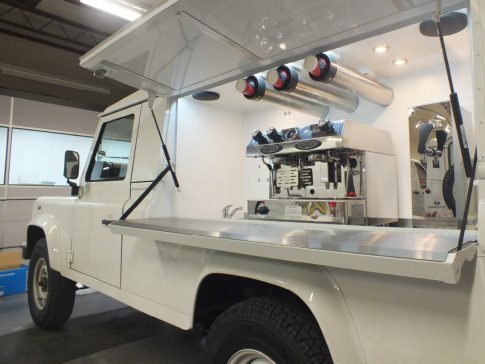 It has all the amazing power initiatives unique to Really Awesome Coffee using our LPG and battery system, that will save you thousands in comparison to the alternative generator powered vehicle. 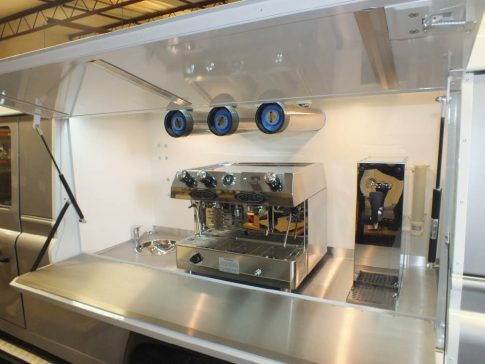 This superb conversion includes a Fracino dual fuel espresso coffee machine and on-demand grinder, three-door display refrigeration for selling cold drinks, lunches and snacks as well as a hot oven for popular baked goods. It features a handy knock-out drawer and cup dispensers as well as a secure till and includes a useful pull-out serving tray and storage. The van also features our bespoke pull-out awning which keeps both the barista and a few customers protected from the rain and gives much needed shade during the summer. 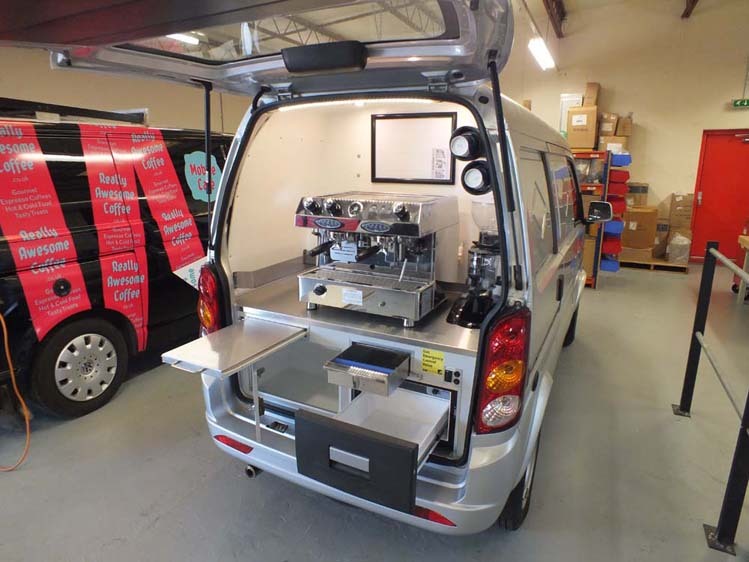 It takes seconds to glide in-and-out and saves valuable time in comparison to the traditional roll-out canopy, which is more time to serve your customers and increase profits! 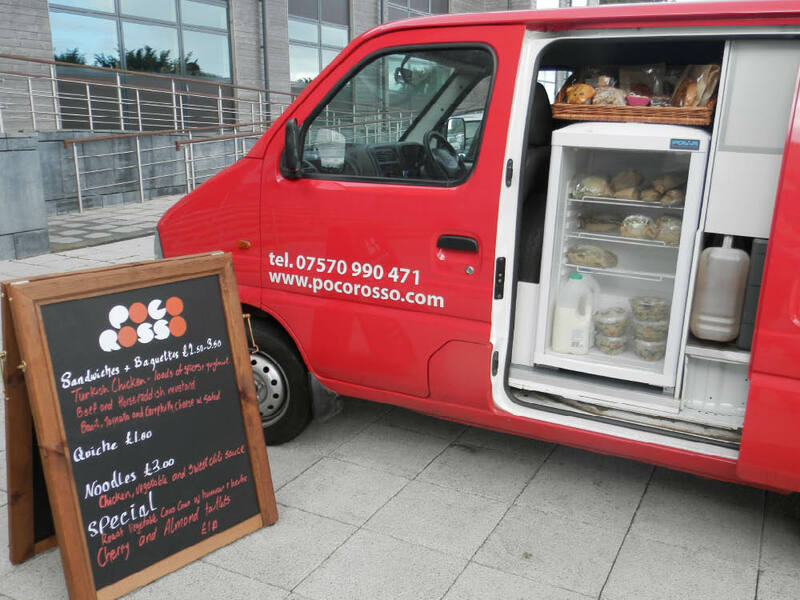 I think the quality of the van is a big part of the reason we have been so successful. 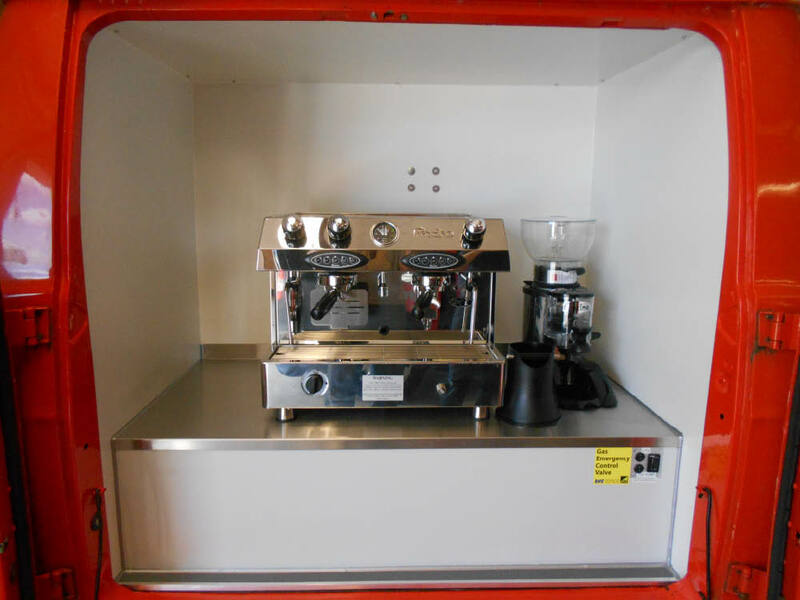 We were paying a lot more for our coffee before we switched, our customers love the #1 blend and we're saving money too. An awesome win win. The team at Really Awesome Coffee have been excellent since we first made contact. 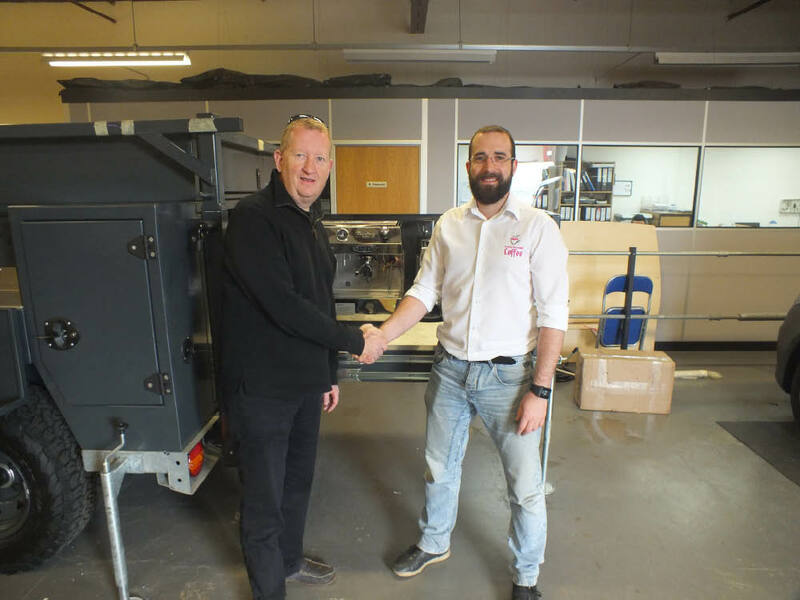 They were not at all phased by our unusual request to convert our two vehicles into coffee vans and were instrumental in designing and setting up our new business. I would recommend them most highly to you. 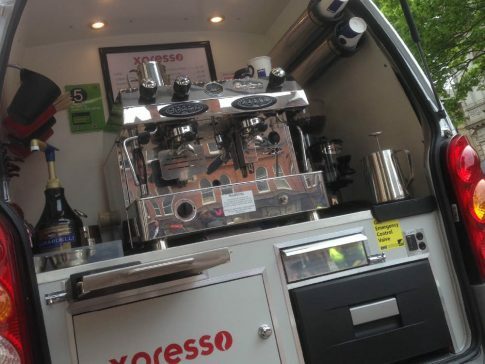 I have always been very impressed with the level of professionalism of Really Awesome Coffee. 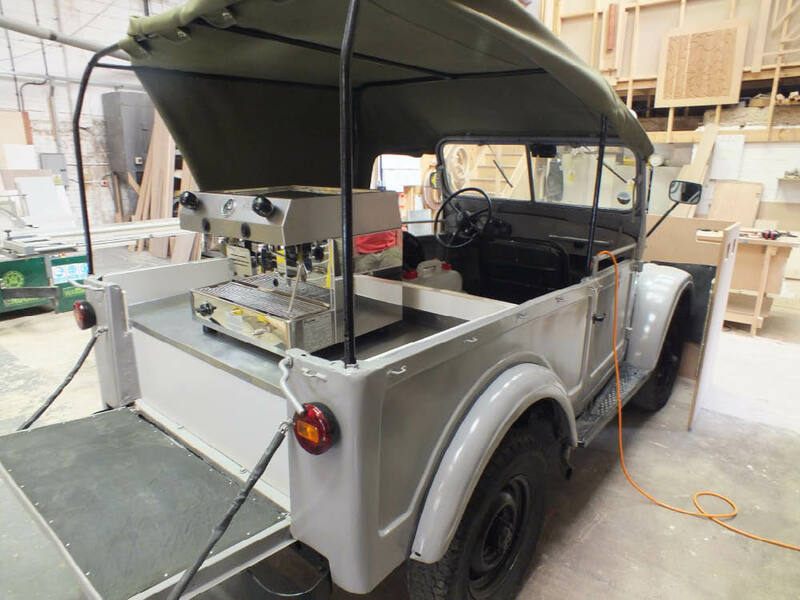 From the first telephone conversation with Really Awesome Coffee about my wanting a coffee van conversion, I felt they understood what I was looking for and helped without any pressure. 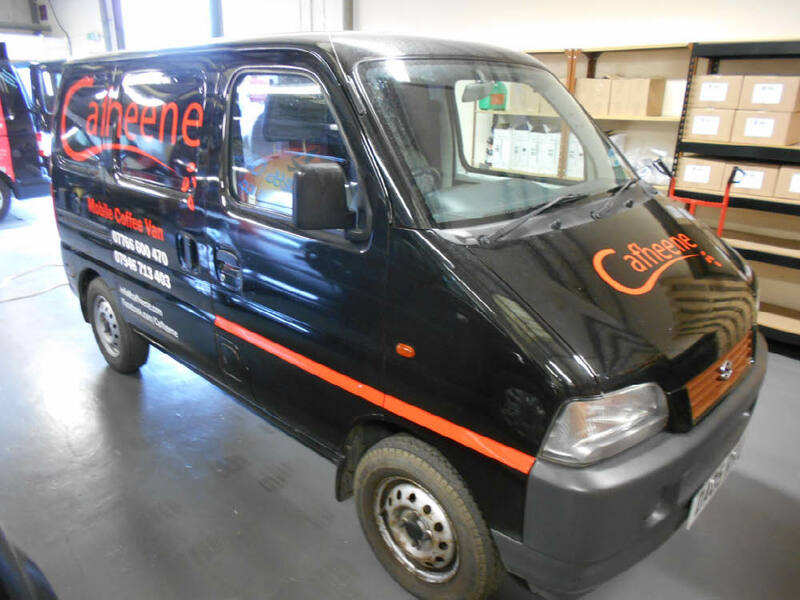 Excellent & thorough service which we would heartily recommend, I can't imagine anywhere being better. It was no small feat building a fleet of Drovers, where others floundered Really Awesome coffee stayed strong, where others said it couldn’t be done Really Awesome coffee did it. 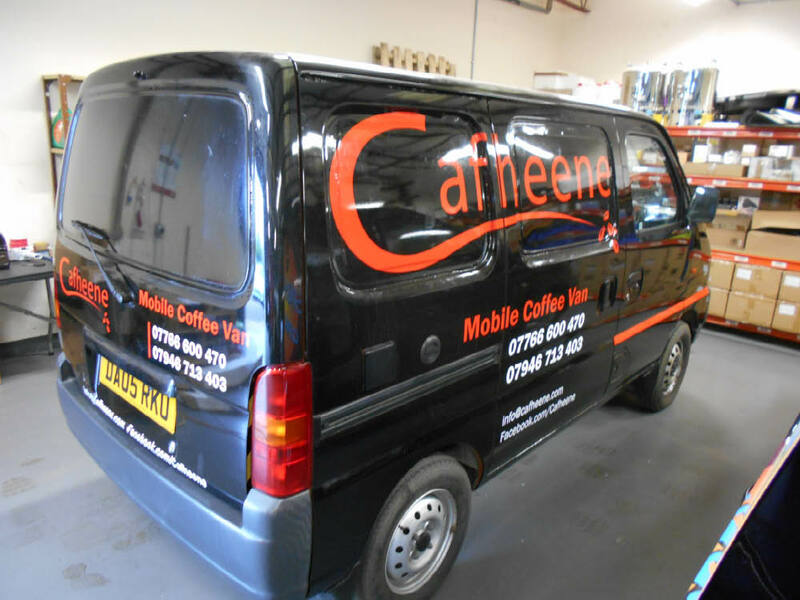 If you want to have a coffee van conversion that is something different , bespoke & stand out from the crowd there really is only one team to talk to. 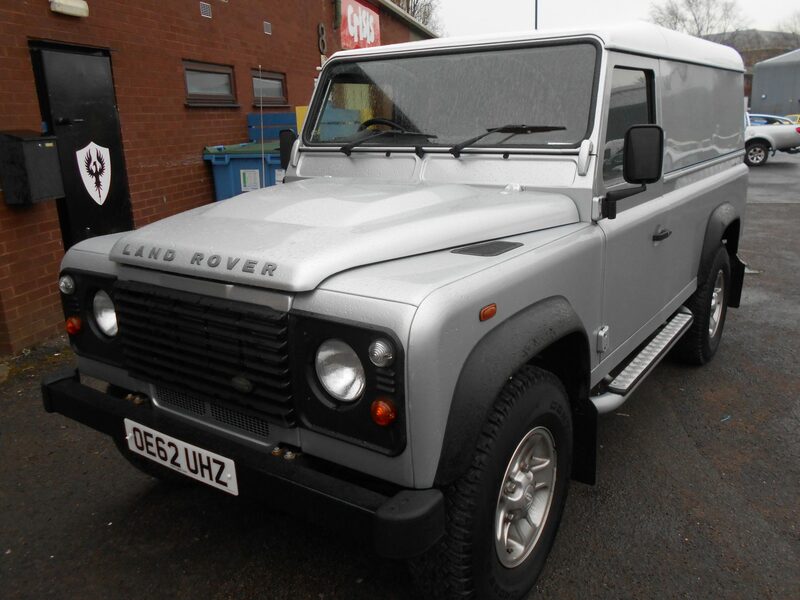 Ask anyone who has seen a Drover in person, the proof is in the product. 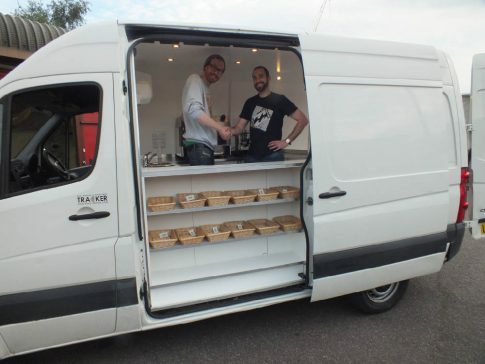 The Really Awesome Coffee company are extremely professional from the moment you make your first enquiry right up until the day of collecting your converted van. Great experience working with Really Awesome Coffee, everything went really smoothly and the barista coffee van conversion is the most professional I have seen in the business. When I wanted to replace my van, I contacted many businesses but Really Awesome Coffee impressed me from their first email and continues to do so all the time. 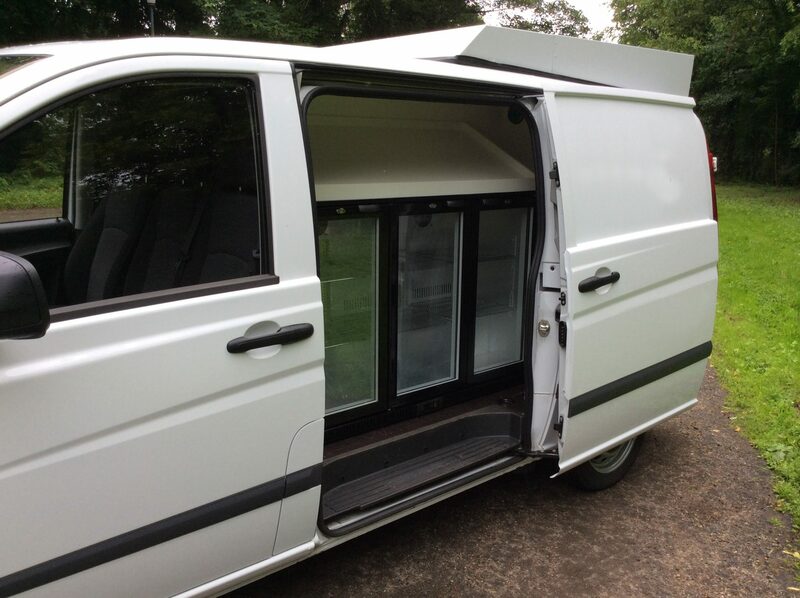 We always get positive comments on the quality of the conversion, particularly from other vendors and people associated with the industry. 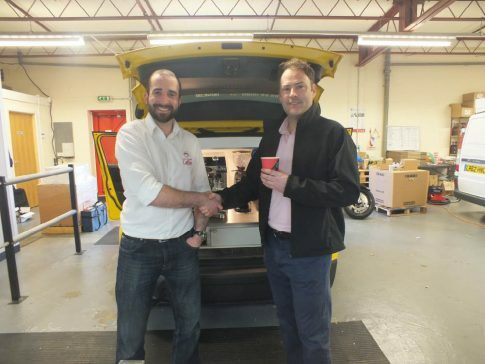 The service I received was first class.They are always on hand to help out with any problems. 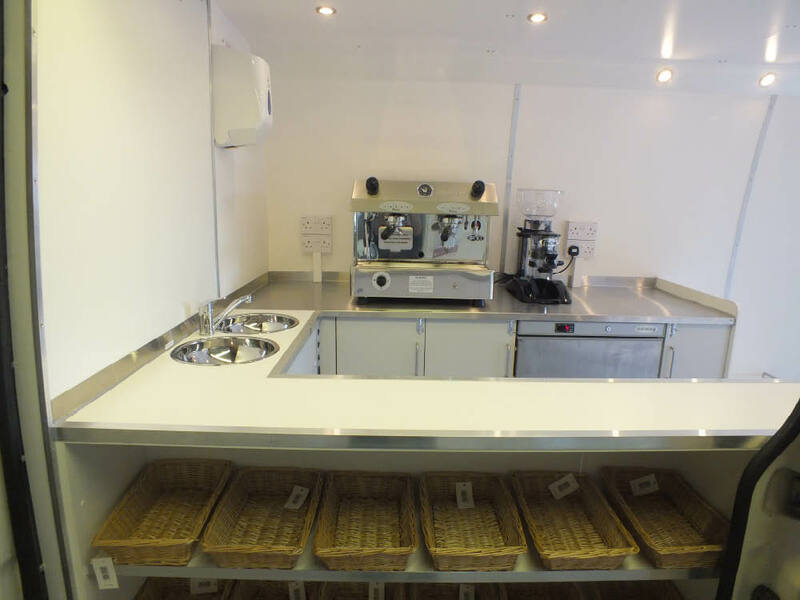 #1 Blend tastes fantastic, you and your customers will not be disappointed!. 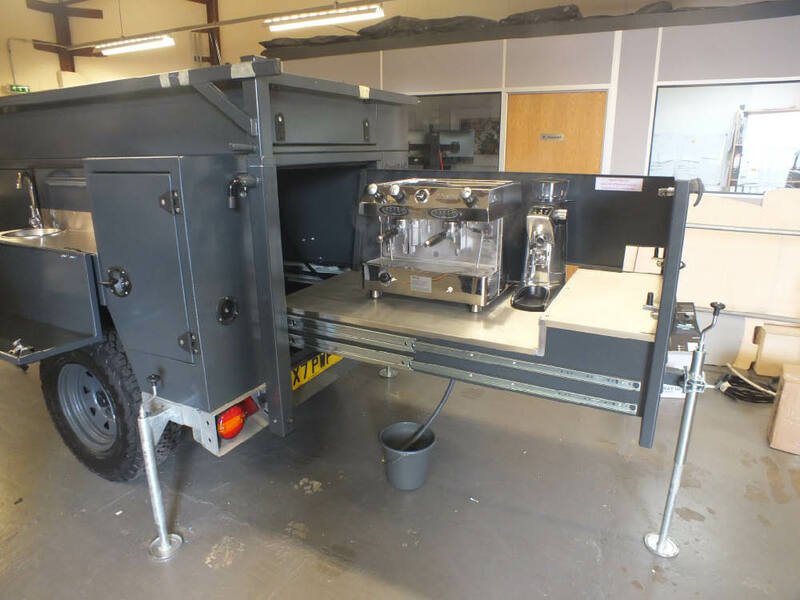 Their professionalism, eye for detail and willingness to go that extra mile for the customer have ensured I have the perfect set-up to go out there and make coffees. The training on the van was excellent quality. The depth of knowledge about every aspect of the van and its components was obvious to see and it has prepared me well for my new venture. 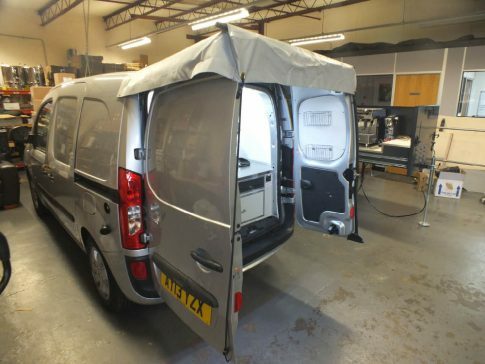 The fit out is that of an extremely high quality. I'd recommend any one considering going into this business to go and talk to Really Awesome Coffee. The fit & finish is first class. Our coffee van conversion gets just as many positive comments as the drinks themselves. It's my big toy and I love it!. 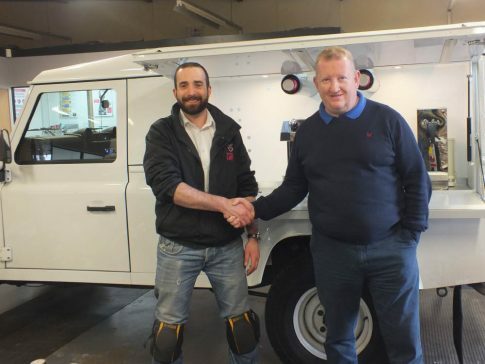 What impressed me was their knowledge & state of the art design & finish. 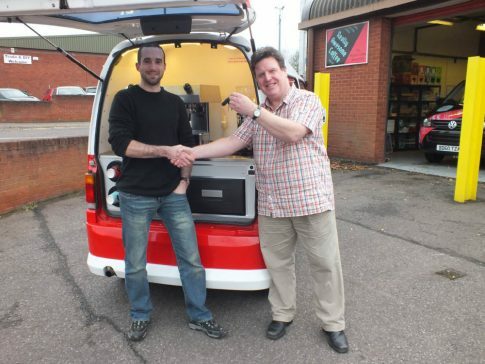 Upon receiving the vehicle after it's coffee van conversion I couldn't be happier, it was just what I wanted & more. The craftsmanship & finish is outstanding. The customer support is excellent & reassuring, I would highly recommend them to anyone.